When one goes to New England, one must engage in typical New England behavior such as devouring enormous amounts of lobster and forgetting how to pronounce the letter “r” at the end of words such as chowder (chowdah) and bar (bah.) It’s truly a cultural experience. Although we have yet to indulge in lobster rolls (waiting for our side trip to Maine,) we perpetuated the tradition of a family lobster boil. It didn’t hurt that lobster (lobstah) currently stands at $4.99/lb which is UP one dollar from last week! 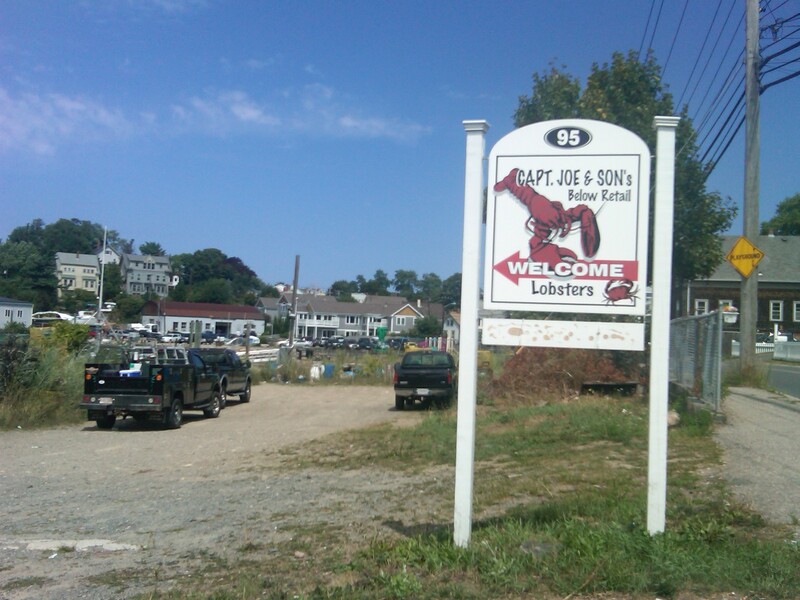 My husband and I volunteered to pick up the lobsters from one of the multitude of lobster retailers along the bay. 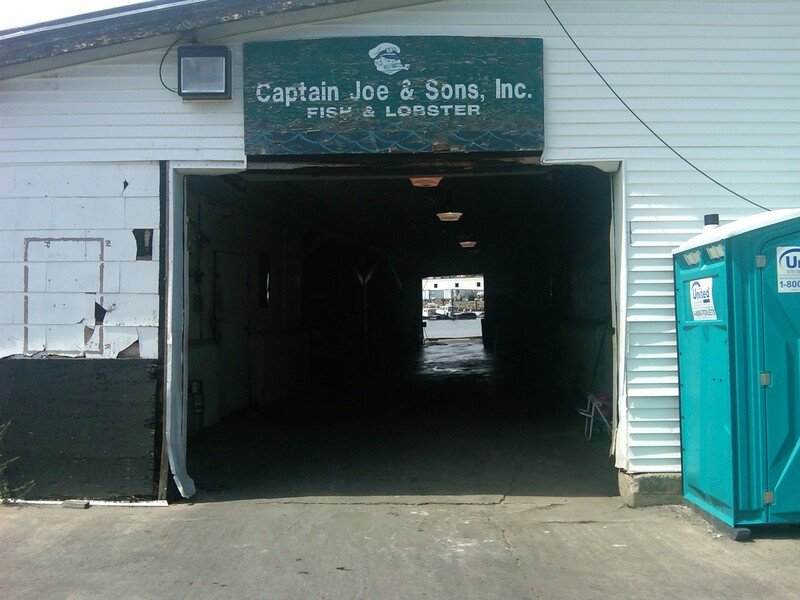 We were directed to Captain Joe’s by my father-in-law. This is after we stopped to stock our cooler with ice and get cash from the ATM because the lobster shop was cash only, of course. It was nice to have some sort of direction because there were tons of viable options along the bay, including a place that lured people in with the alluring scent of a smoker–a respectable side business. 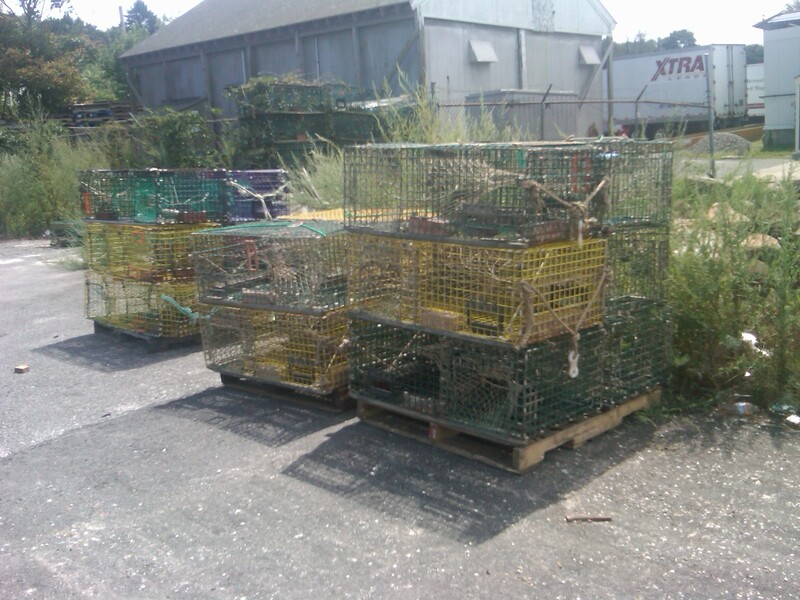 When we pulled into Joe’s, there were empty lobster pots stacked around the parking lot. Can’t get much more authentic than that. We walked up to the garage-like building that butted the harbor. 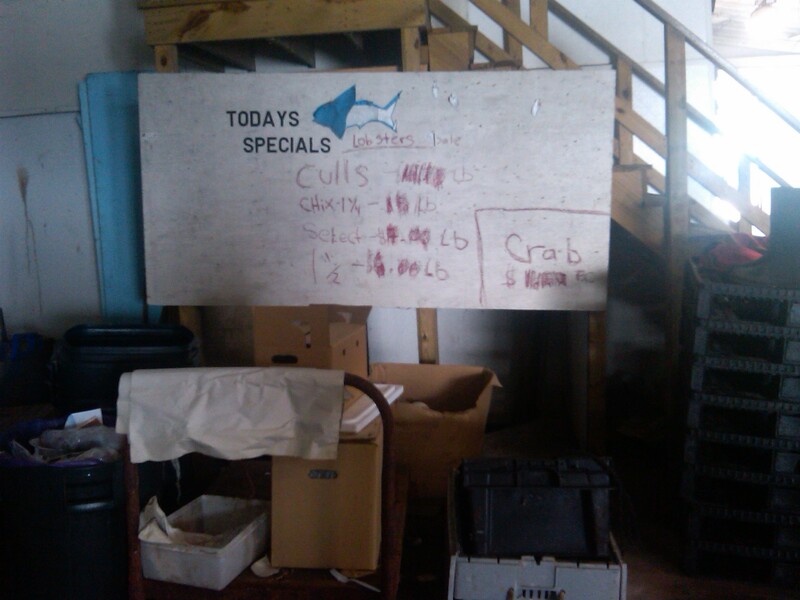 It’s hard to read, but I kid you not when I say that the lobster were $4.99/lb. That’s right, kids. They were cheaper than steaks and even some fancy, Whole Foods chicken breasts. Lobstah!?! OK, I lied. Apparently I took one quick picture of the lobster containers. This ain’t fancy, folks. 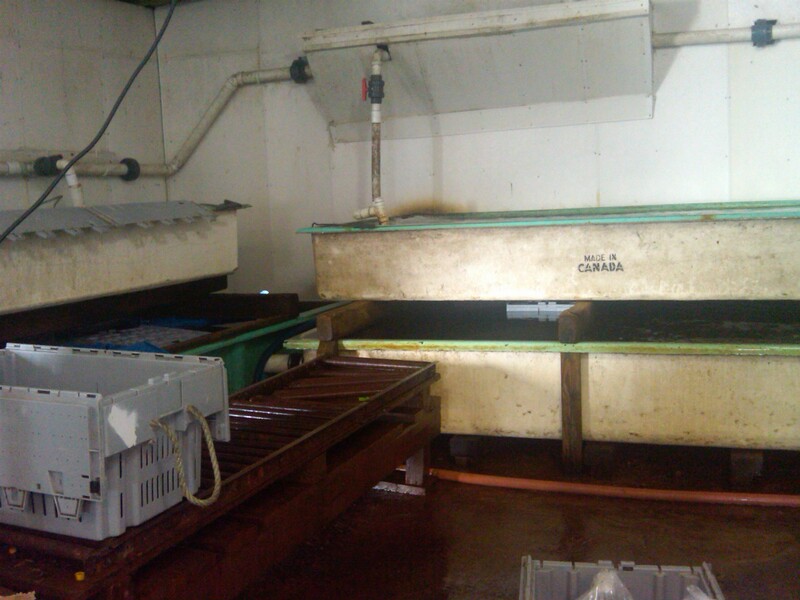 The lobsters were divided by size and stored in these long containers. 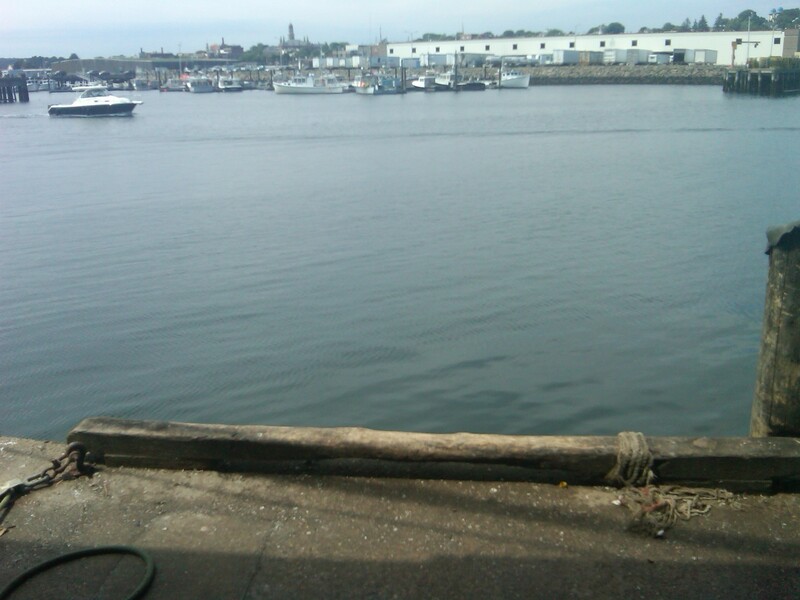 Here is a view from the dock where they “receive” the lobster–I literally stood in the edge of the dock. Because I’ve been trying to write this post for about a month now, I’m not going to get into the lengthy argument, ahem, conversation we had about the preparation of the lobster. I will say two things, however, There were a few strong opinions and one too many cooks in the kitchen. My husband’s aunt had recently read an article in Yankee Magazine with a different technique of cooking lobster. They advocated steaming them in a couple inches of very salty water instead of boiling them. 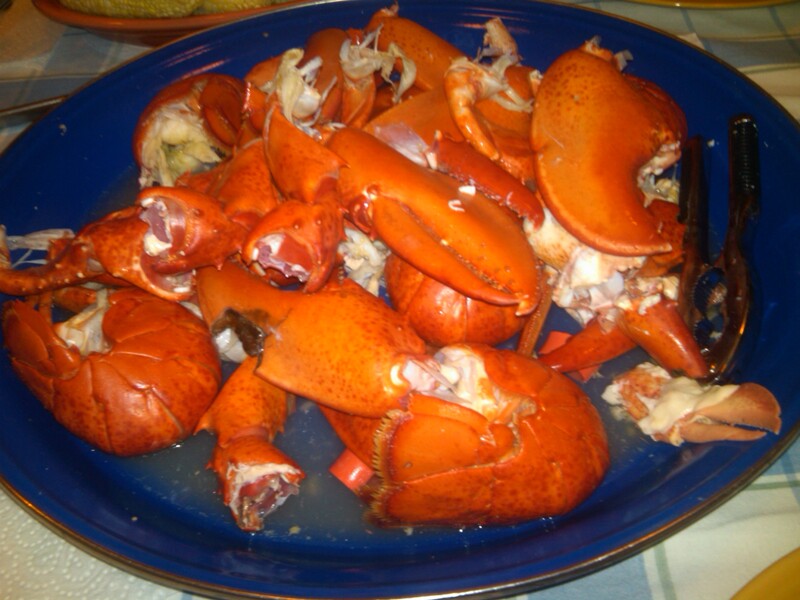 The recipe came from Bertha Nunan, owner of the Nunan’s Lobster Hut in Kennebunkport, Maine and my husband’s aunt was very emphatic that we try it. Bertha Nunan believes that boiling the lobster leaves the crustacean too soggy, while steaming it allows for the perfect consistency. As a former vegetarian who has a terrifying lobster slaughtering experience, I wasn’t a fan of steaming them. I was a fan of the quick and dirty boil–we’d put those little suckers out of their misery in a snap–but realized that there were two many opinions and retired to the deck with a book in hand. The Nunan method was a success! The lobster was perfectly cooked and the heavily salted water imparted just a hint of ocean flavor to the meaty lobsters. 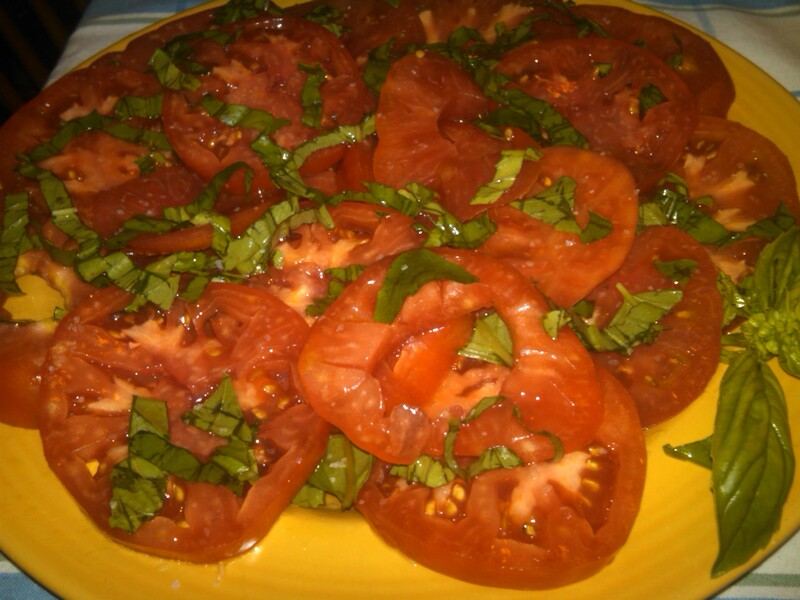 We pounced on them with dishes of butter by our sides and this beautiful tomato salad compliments of my sister-in-law. We had corn too, but I was too busy with my lobster to grab a photo.